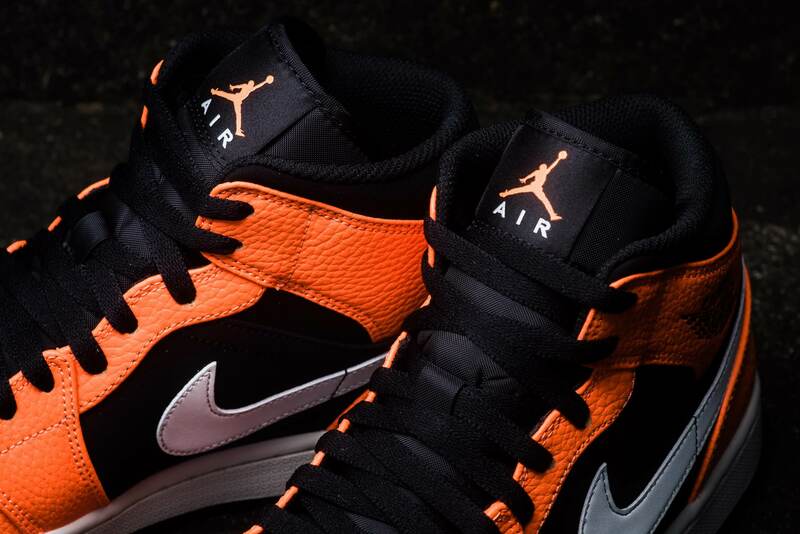 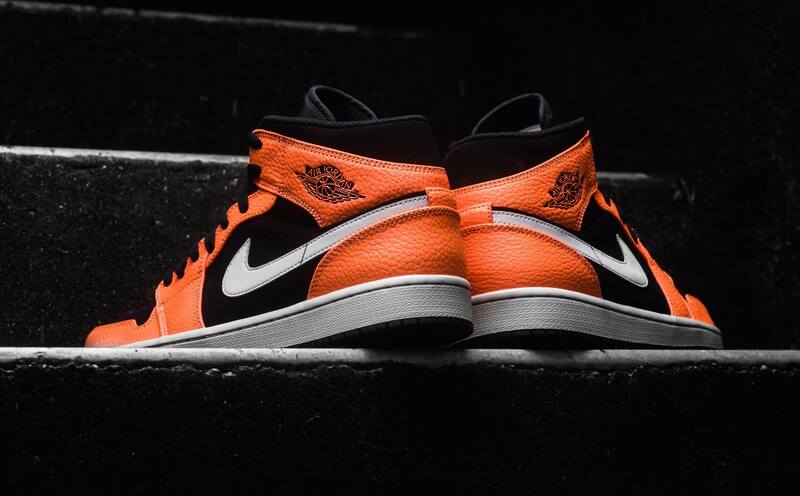 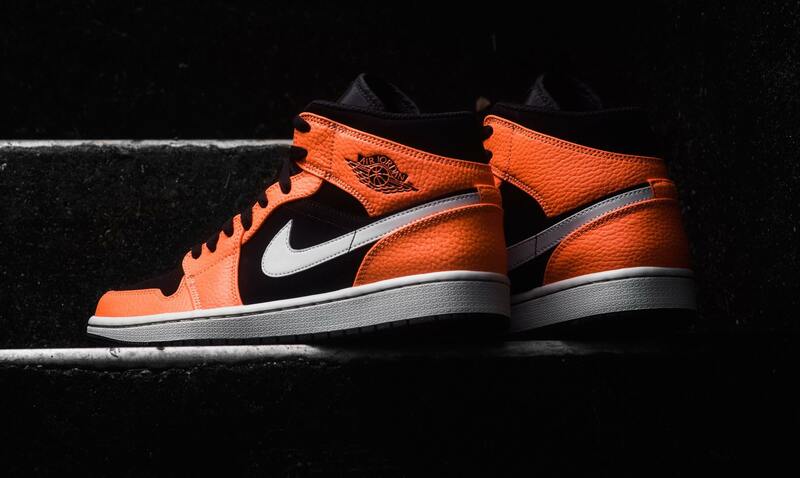 Jordan Brand is already up with a Halloween oriented Air Jordan 1 Mid sneaker that features a black and orange color scheme. 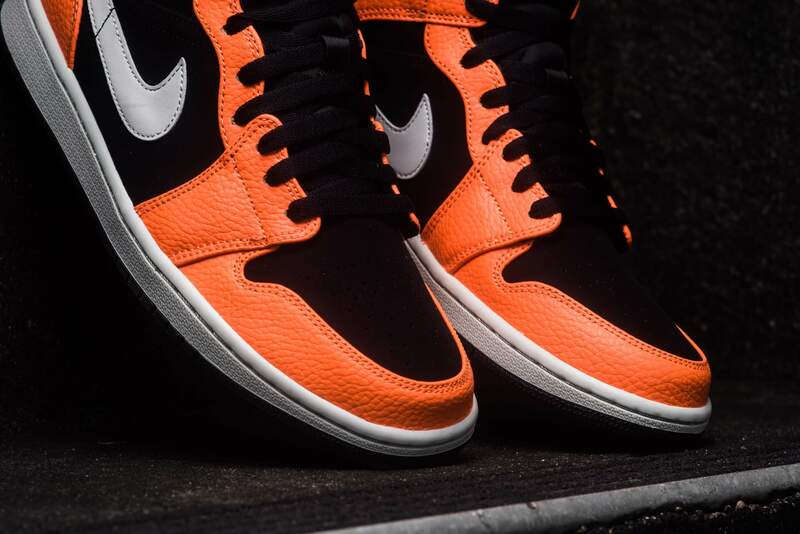 The shoe basically comes covered in suede upper complemented with tumbled leather overlays. 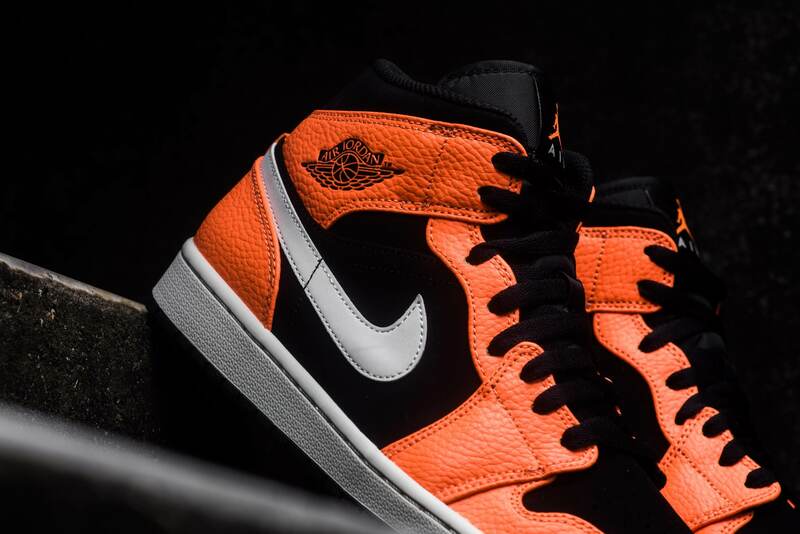 While Black and Orange hues dominate almost its whole construction, contrasting white accents are being used for its Swooshes as well as the midsole. 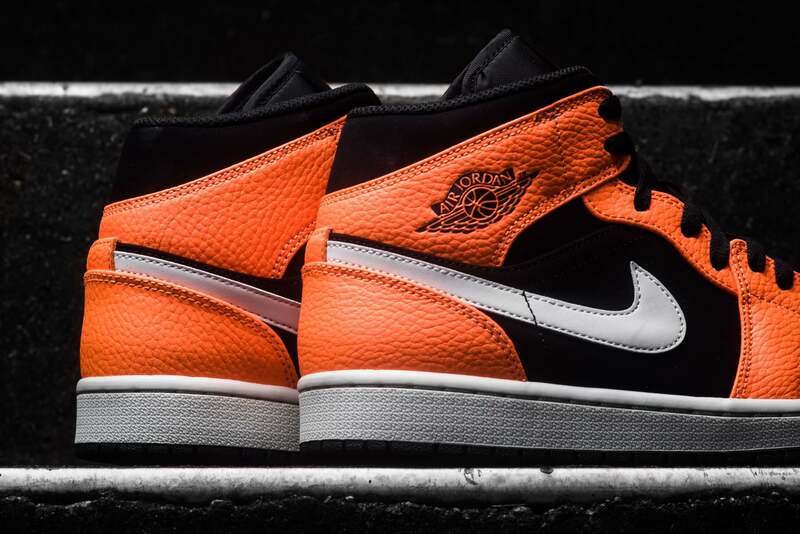 Finally completing the whole design altogether is the wings logo placed across its ankles and Jumpman Air Branding displayed on the tongues. 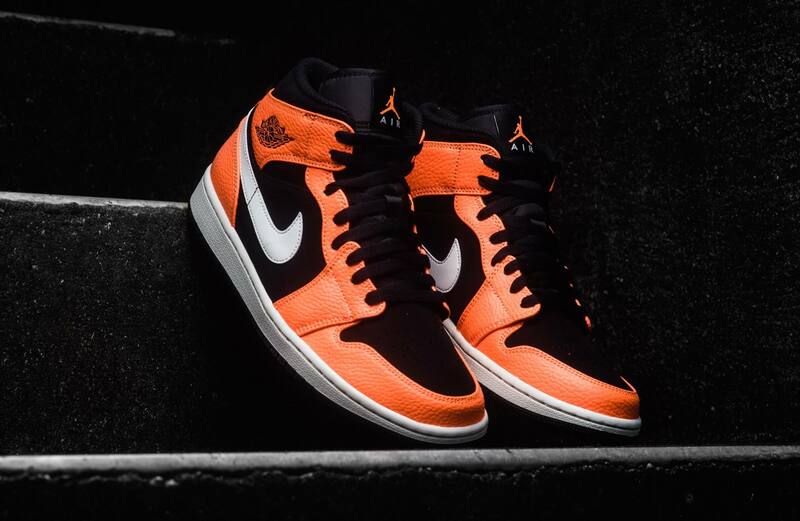 Retailing for $110, check out more detailed images below and grab a pair for yourself at any select Jordan Brand retailers today.